American McDermott International has been awarded a contract by Unipetrol RPA for the engineering, procurement and construction management (EPCM) services in the upgrade of Unipetrol’s hydrocracking unit in Litvinov, Czech Republic. McDermott has successfully executed a number of feasibility studies, front end engineering and design (FEED) and EPCM projects for Unipetrol at their refineries and petrochemical facilities in the last two decades, and will now execute the procurement and installation phase of the project – it is scheduled to operate from McDermott’s Brno, Czech Republic, office with estimated completion in the second quarter of 2020. Work on the project will begin immediately and the contract award will be reflected in McDermott’s first quarter 2019 backlog. 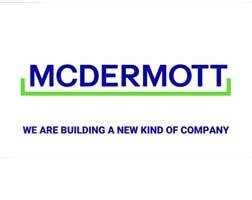 McDermott is a premier provider of technology, engineering and construction solutions to the energy industry. Customers have trusted McDermott to design and build end-to-end infrastructure and technology solutions to transport and transform oil and gas products. McDermott operates in over 54 countries, with resources including some 32,000 employees, and a diversified fleet of specialty marine construction vessels and fabrication facilities around the world. The Unipetrol Group is the largest refinery and petrochemical company in the Czech Republic, focusing on crude oil processing, distribution and sale of fuel and petrochemical products — particularly plastics and fertilisers. Unipetrol is part of the PKN Orlen Group as of 2005, the largest crude oil processor in Central Europe. The group has over 4,700 employees, and created revenue of over CZK 130 billion in 2018.